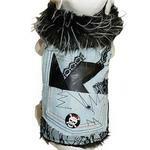 Keep your pup toasty and stylish with this edgy Denim and Lace Faux Fur Trimmed Dog Jacket by Cha-Cha Couture. Looking for a tough and cool dog jacket to keep your pup warm? 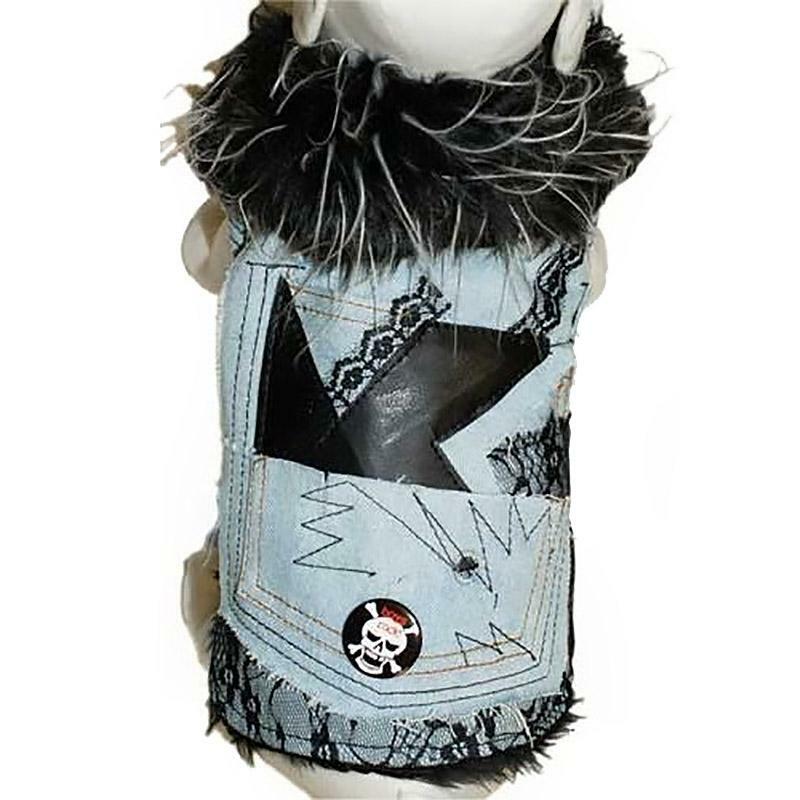 This Denim and Lace Faux Fur Trimmed Dog Jacket in light denim and black will have your pup rocking a style that will turn heads. This dog jacket makes the smaller breeds look tough while keeping them toasty. The faux fur trim collar features edgy silver fur accents for contrast. The raw-edge denim features faux leather appliques and black lace trim. The skull pin is removable. This dog jacket does not include a leash. Large fits Chest 18-20", Neck 16-19"
Denim and Lace Faux Fur Trimmed Dog Jacket by Cha-Cha Couture Customer Photos - Send us your photo! I found sizes here that I couldn't find elsewhere.